The month of Ramadan in the Islamic calendar has been falling in the summer months for the past few years. With almost a 10 day shift of the moth every year through the Gregorian calendar, it is set to fall in the summer for at least the next six years. Ramadan is observed by millions of Muslims across the far corners of the globe, from Dunedin (45°S, New Zealand) to Bergen (60 °N, Norway). During the current and proceeding years, there are certain challenges for Muslims living above the latitudes of 45° degree in the Northern Hemisphere. Firstly, the timings of the fast can be more than 18 hours. Secondly, all high latitude countries are places where no legislation or privilege exits for reduced working hours during Ramadan. The spirit of Ramadan is enough to see Muslims through the month. Nonetheless, they should also ensure certain practices so as to minimize the strain on the body. After all, the lord does require effort from us to elevate us in our spiritual level, but he does not require of us to put our lives in danger. Just like a good athlete who prepares for the track and hurdles, Muslims should also prepare for Ramadan so to start the month strongly and finish it on a high. There are a few things that can be done for the preparation of Ramadan to make it a more lively experience. 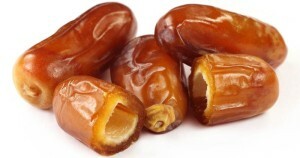 The prophet PBUH asked Muslims not to fast in the days leading up to the month of Ramadan. This was a message to conserve energy so as to be energetic and well prepared for Ramadan. It should be noted that in some countries such as in Scotland, the fast can be as long as 20 hours. The recommended practice for long duration fasting is that in the days leading up to Ramadan, some light training for fasting can be adopted. By gradually increasing the duration between the breakfast and lunch, one can train the body’s biological clock. For instance, if the normal lunch time is 12:30 pm, then starting a week before Ramadan, on the first day one can increase the time to 1:30 pm and the next day to 2:30 pm and so on and so forth. This way, the first day of Ramadan would not be as big a change for the body and metabolism rates will adopt. If possible, Muslims living in west can take days off during the first few days of Ramadan. In many muslim countries, working hours are reduced and are shifted to cooler parts of the day. However the work times in Europe, North America and beyond see no change during Ramadan. Therefore it makes sense if Muslims in the west take things gradually in stride. Taking a break from work for the first week of allows the person to adapt gradually. First allow the body to get used to fasting and then load it up with work. Going unnecessarily outside should be avoided. Particularly during noon times and the hour proceeding peak sun. If going out is absolutely essential, than one should make sure that the head is covered. Similarly, wet cloth on the back of the neck helps normalizing body temperature if there is too much heat. Cars parked outside can have a lot of heat build up in the cabin. Unless parked in a shaded space, try covering the windows and the windscreen with reflector screens. In Ramadan, if one is travelling long distances than fasting can be postponed. However even driving for a couple of hours alone on a highway can be dangerous and should be avoided. While fasting one cannot just stop at the services and up their caffeine levels. Monotonous driving invites sleep. Therefore busier roads should be preferred as opposed to quiet motorway. Car temperature should be either set above or below the comfortable range (17 °C-25° C), to prevent drowsiness. And lastly doing Dhikr loudly also helps keep sleep at bay. In northern European countries the time between iftar and suhoor could be as low as 4-6 hours. Therefore, it is important that the food for both Iftar and Sehar should be given some scientific consideration. In the Iftar time, food that has slightly higher Glycemic Index (GI) can be consumed. This will provide instant energy for the prayers that are to follow, particularly Taraweeh. Refrain from oily food during the Iftar time as it makes one feel bloated without providing much nutrition. Also it is heavier on the tummy after a long days fast. A platter that has many different naturally coloured food items is a healthier meal as it indicates the presence of a variety of vitamins and minerals. On the other hand Sohoor should be done with food of low GI. This provides slow release of energy as the carbohydrates in food with low GI break down slower. Things like brown rice, brown pasta, brown bread and fruits help in sustaining energy levels for longer. 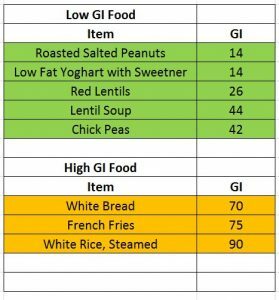 A comprehensive list of foods with their respective GI can be obtained from the following link. A smaller list is present below. For people that are working full time during Ramadan, the lunch time can be utilized for a short nap after the performing Zuhr prayers. Just like the people from far east, doze -off on your chair. Or if you want to avoid the gaze, just park your car in a shady place and switch -off your mind. This will help in recharging the batteries. Caution, make sure your alarm is set. Once you wake up, roll up your sleeves make wudu (ablution) and join your mates for another shift. Ramadan is not only an opportunity to attain spiritual health but also physical fitness (for those looking to shed weight). It is a way of detoxification, spiritual and physical. It is a good opportunity for Muslims to give up bad habits such as smoking. A popular one-liner that makes an appearance on social media as the blessed approaches is; “Ramdan, putting the slim back in Muslims”. Sadly, that is not the case among a huge proportion of those observing fast. Many of us go on a binge eating spree after breaking the fast. Consequently there are people who gain weight in Ramadan instead of losing it. We have to be steadfast and clever to avail this opportunity. If Muslims approach the month with wisdom, than there is no doubt that a lot can be gained for mind, body and soul. JAK for the well written article. Good tips.